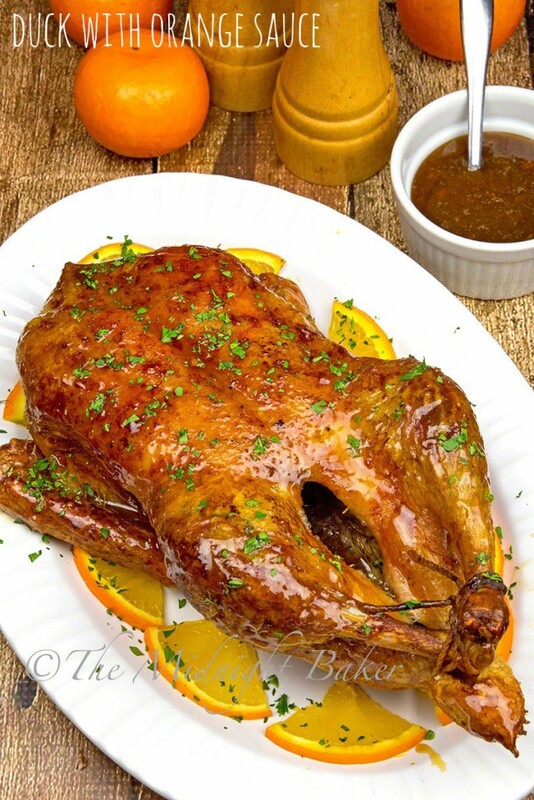 Duck with orange sauce is the most favored way to serve this bird. I haven’t eaten duck in close to 30 years! That was due more to price and availability where I live now. I decided to treat myself when I saw them in the store last week. The thing I love about duck is the nice crispy skin. Believe it or not, I’m pretty “meh” about the meat since I’m not a huge fan of dark meat on poultry other than chicken. But the reason I bought this was for something you really wouldn’t think–I wanted some rendered duck fat. Yes, the fat. The French use the fat in many haute gourmet recipes. I actually don’t do “haute gourmet” because, well, it’s too much work since I got lazy in my old age. What I wanted the the fat for was making roasted potatoes. Made with duck fat instead of butter or oil makes roast potatoes go to the next level. But enough about my main purpose and onto the duck itself. 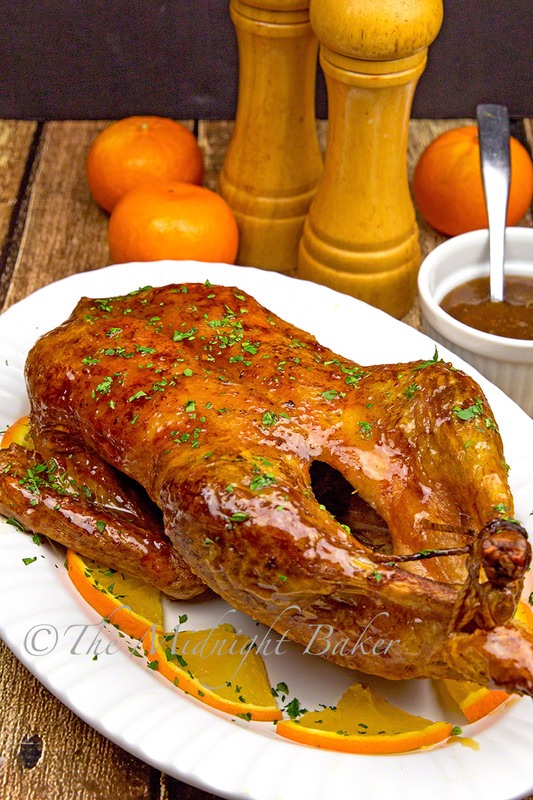 Orange and poultry, especially duck, is a perfect combination. 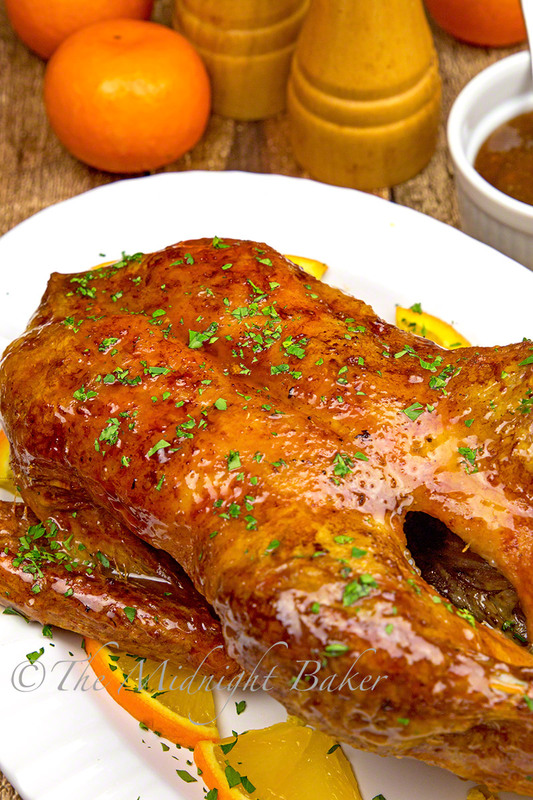 Nice bright citrus notes complement the slight sweetness of duck meat (and the skin). If you have some spare oranges, quarter one and place it in the cavity of the bird so it will delicately infuse into the meat. When cooking this bird, you have to do a bit more work than roasting a chicken or turkey. Since a duck has more fat under the skin than the other birds I mentioned, you have got to prick the skin so the fat will render out. Be careful doing this because you just want to prick the top skin only–you don’t want to go down to the meat since that will case the meat to dry out. In addition to pricking the skin, you must turn the bird three times during cooking. You start it out with breast up, next phase of cooking is turning the breast side down, then the final leg of the cooking process you turn the breast side up yet again. Each time you turn, you prick the skin again. An average-sized duck (5 lbs) will take about 2 hours to cook. 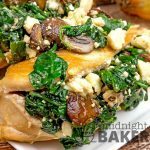 During the last portion of the roasting, you will want to prepare the simple yet tasty sauce since it takes a while to reduce to a syrupy state. Last but not least, resting time is very important with duck–the longer you let it rest, the juicier the meat so resist the urge to carve and serve immediately out of the oven. I usually let a duck rest for 20-30 minutes. Wash duck and dry thoroughly. Remove excess fat from the cavity area. Prick the skin at 1-inch intervals over the entire bird. 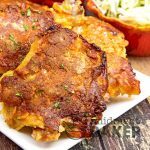 Place bird breast side up on a rack set in a deep roasting pan. Mix salt & pepper and sprinkle over the bird. Roast for 40-45 minutes; prick the skin again and turn bird breast slide down. Roast for another 40-45 minutes; prick the skin again and turn bird breast side up. 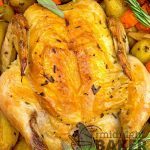 Remove bird from the oven, cover loosely with foil and let it rest at least 20 minutes. Meanwhile, make the sauce--place all sauce ingredients in a small saucepan. Bring to boil stirring frequently. Reduce heat to medium-low and gently boil until sauce has the consistency of pancake syrup. This should take about 15 minutes. Brush the duck with some of the sauce. Cut duck into quarters and serve with additional sauce.